After all these years of consistent video streaming, we can say something — YouTube is today’s gateway of seamless, global and anytime entertainment. From the popular music tracks to fully-fledged films, this video-sharing website is having a collection of millions, and new videos are added as we speak! In the course of time, YouTube has received a lot of upgrades, in terms of playback and others. 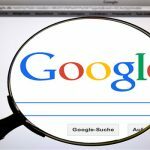 Apart from these, there are some other YouTube tips and tricks you can check out, for an enhanced YouTube experience. Such tips and tricks are useful when you want something more from YouTube — such as when you want to create a rap mix of your favorite tracks, convert your favorite videos to other file format or a GIF image. In this article, we will tell you some superb YouTube tips and tricks that you will definitely find useful. You will not be using it every day; but, they will do the job in some special instances. So, shall we start our tips? By the way, if you’d like to know the lesser known features of YouTube, you can check our previous post. Well, you might be using different software or extensions to download your favorite videos from YouTube. It isn’t a possible solution when you’re on another device. So, we have a universal YouTube trick to download any of YouTube videos — without installing anything on your PC or browser. For this, we are using a site named Savefrom.net. To use this feature, you have to add ‘ss’ before the URL of YouTube video. 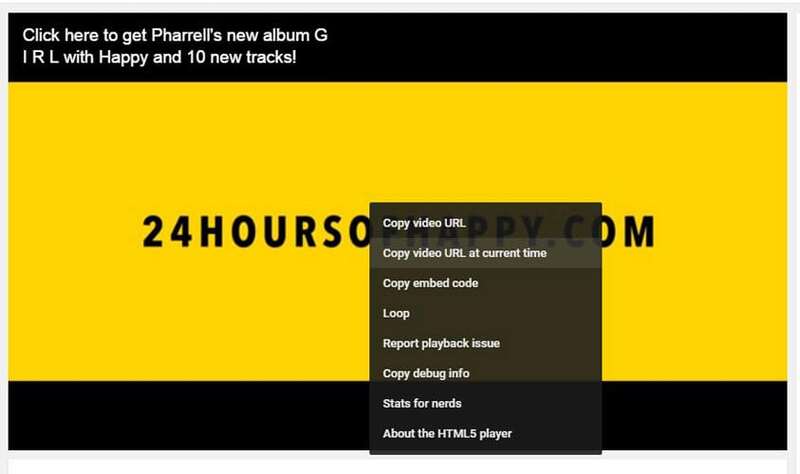 For instance, if you want to download this video of Pharell William’s Happy, you need to change the URL. You will be lead to the savefrom.net website, where you can see the available options for download. With this tool, it is possible to have the video in different formats such as MP4, AVI, FLV etc. You can also get it in different qualities. It is a quite helpful YouTube trick, we bet. As we said earlier, you may need to create GIF images out of your favorite videos in some instances. For instance, if you want to embed a 30-seconds YouTube video in one blog post, it’s good to get a GIF Image, which is lightweight, usable and has an updated feel. You would have seen this trend of GIF images in websites such as Buzzfeed. Well, we were saying, you can turn any YouTube video into GIF image. To create a GIF image, you can either add ‘gif’ before the YouTube video URL (if we take the case of the Happy video given above, we get https://www.gifyoutube.com/watch?v=y6Sxv-sUYtM). Soon, you will be taken into gifs.com — a website that allows you to create GIF images out of YouTube videos. Alternatively, you can go to gifs.com and paste the URL of the video. 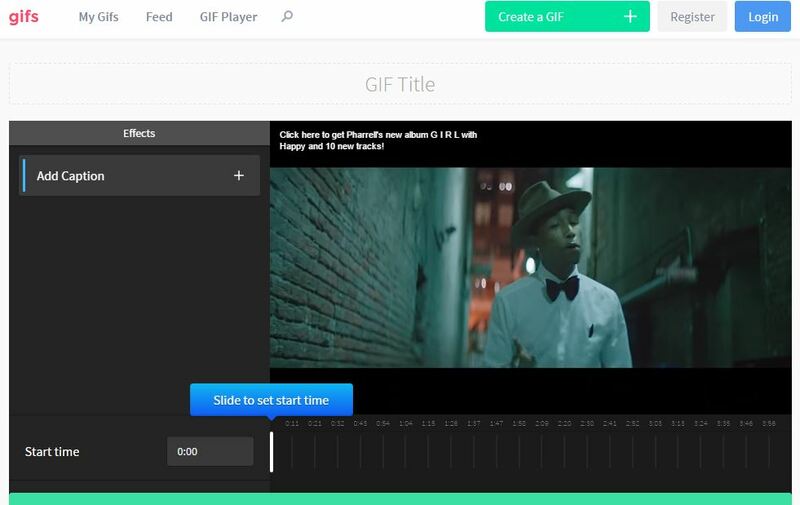 Gifs.com even allows you to give the GIF a title or to select particular portions of videos to include in GIF image. Don’t these keyboard shortcuts sound cool? We know they do ;) This is certainly one of the best YouTube tips you’ve received, we bet. Sometimes, you don’t need your friends or audience to watch the entire YouTube video. On the other hand, you may need them to quickly get the important part — which is at a particular point of time. In that case, it makes sense to share the video at the certain period, with second-by-second precision. To do that, you need to follow a simple step. You can right-click on the video player. On the context menu, you can see an option named ‘Copy video URL at the current time’. Click on the button and the URL will be copied to your clipboard. Now, you can go and share it with all your audience, and they will start the video at the selected point. This is quite useful when you need an audience to get the right thing, ASAP. Children love YouTube — how can they resist loving a website that brings their favorite programs and funny stuff? That having said, when you are a parent, you will have to make sure that your kid does not spend much time on this site and that he/she does not access inappropriate content. 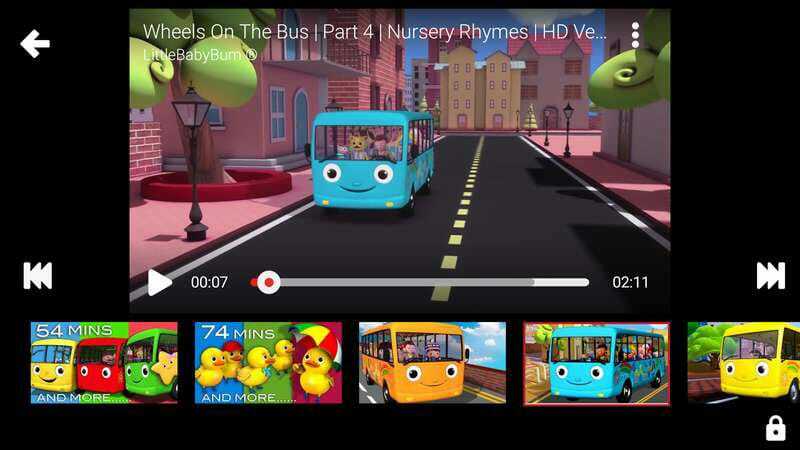 Google has launched a special app — YouTube Kids — to serve this need of parental control. This application is available for Android and iOS, and installing this app on your Smartphone or tablet PC is the best YouTube tip you can follow. The interface is quite simple and your kids can find what they want in no time. At the same time, the app ensures the best control for the parents. You can, for instance, limit the time of usage, after which the app will be locked. It’s also having a Safety Mode, which is intended for toddlers. It’s an awesome app you can get. Don’t you get enough time to open YouTube.com and watch your videos calmly? 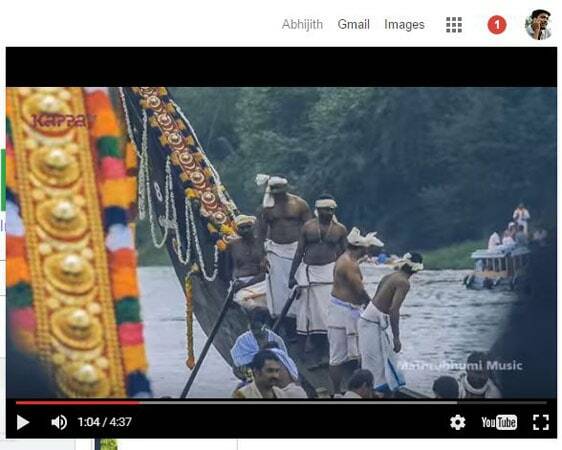 Well, if you are a good multi-tasker, you should get Floating for YouTube — which is an extension available for Google Chrome browser. Using this, you’ll be able to watch your favorite YouTube videos even when you are browsing other web pages. You can install it in a few seconds and you have to provide the URL of the video to be played on top. If you notice clearly, you can see that the overlaying box is a fully-fledged YouTube player that has been minimized. It can be paused or fast-forwarded. So, when you are doing something mechanical, you can get this mini player to give you the best YouTube experience in a non-distracting manner. We think that’s a good thing for a YouTube addict. It is available in the Chrome extensions store, Here. Perhaps because my perception of English accent is bad or because of the style they sing, I don’t really understand a song’s lyrics at the first listening. If you are my type, you have one of the most useful YouTube tips and tricks here. 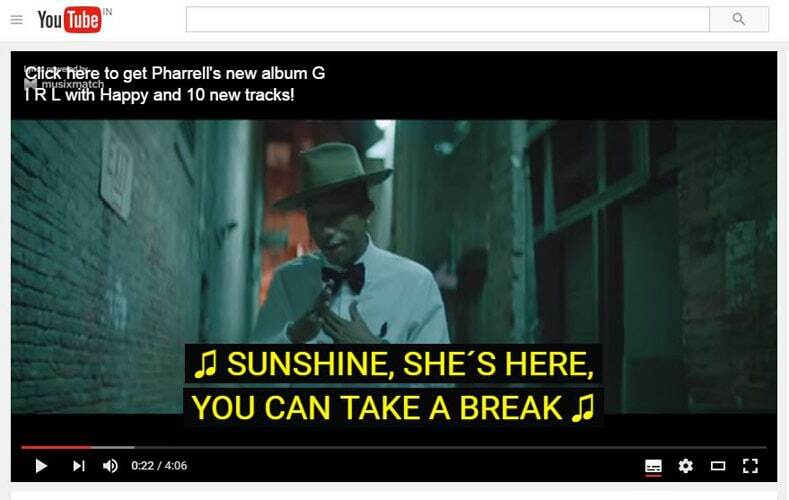 Is that not great if you can see the lyrics on top when you are watching a video? This is what the Musixmatch Chrome extension brings to your YouTube experience. The only thing you have to do is to install this extension on your Chrome browser. From then, whenever you open a YouTube video that is supported, you can see Musixmatch logo on the top-left side, and the lyrics will be visible as an overlay. It’s just that simple — you can browse to explore the big-enough catalog of Musixmatch. Behold, from now, not understanding the lyrics isn’t a problem — Musixmatch is there to help you with the right lyrics. For music freaks out there, this is going to be a helpful YouTube trick, we suppose. You can get Musixmatch from here. Apart from these seven amazing YouTube tips and tricks we’ve talked about, there is some simple yet useful stuff. If you want to find the full collection of works from one artist, you can search YouTube using #artistname. If, for instance, you want to find the works of Pharrell Williams, you can search #pharrelwilliams to land on the topic page. You can disable auto-play by toggling the button on top-right position. By doing this, you can save lots of the bandwidth. You can use Video Quality Report to find an appropriate HD-Friendly ISP for your need. If you get the best ISP for streaming, the best speed and quality are assured at any cost. Depending on the internet speed of yours, you can toggle between ‘always play HQ’ or ‘never play HQ’. For doing this, you have to go to the Playback Settings. 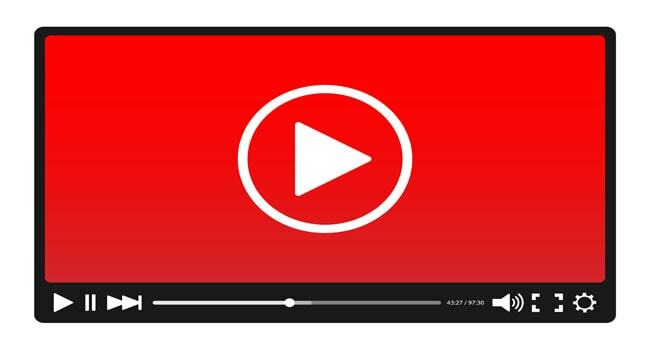 We use YouTube to browse video songs or for any other graphical information. The videos are either uploaded by the official channel or by a private uploader. Many a time, for example, a video is edited by an uploader by mixing various genres, that might be only available with the uploader himself. You can convert the high-quality YouTube to MP3 so that you can play it later on your device without browsing it on YouTube again. So, we have listed seven amazing YouTube tips and tricks that are not that popular! No one would have told you this, but we are here to make sure that you get the best YouTube experience. Apart from the big tips and tricks, we have also given an overview of the miscellaneous tips such as the quality adjustments and all. Altogether, we hope it’s capable of giving you the best entertainment via YouTube. Have you some other YouTube tips or tricks? Let us know using your comments. Hi, Thanks for this new trick on youtube, as I am unaware of this few trick on how to download in a single click. I will certainly try out this tricks. Thank you for your nice explanation, I know some youtube tricks but not all wich is listed here. Thanks again for share these some extra tricks. I must say, these tricks are really col and something I never knew before. I liked the GIF features the most in YouTube. Thanks for sharing it.